The Northern California peninsula known as the Monterey Peninsula is nothing short of spectacular and is home to the beautiful Monterey beach. With its stunning natural beauty, charming, tourist atmosphere and coastline, I am sure you can easily spend 3-4 days enjoying the outdoor activities and exploring the area. Trying to whittle my list down to 10 of the BEST things to do in Monterey CA was quite a feat! There are actually several beaches to choose from in Monterey as opposed to just one “Monterey Beach”. The beaches range from small enclaves to wide open stretches of sand with a brisk Pacific breeze and surf. 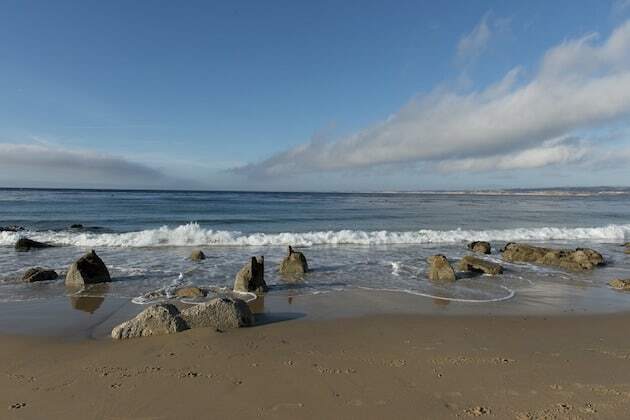 Monterey State Beach is great for families with its gentle slope into the surf, while McAbee beach (one of the smallest) is popular with kayakers who launch from there, or just those looking to take a quick break from sightseeing! Photo Creative Commons / Pixaba. For those looking to get even closer to the water, it’s possible to kayak around Monterey for a memorable trip; this is a great option for families traveling too. Remember to keep a respectful distance from the amazing wildlife you may see! Multiple operators offer lessons and rent out kayaks – find more information here! From Pacific Grove to Carmel-by-the-Sea, this amazing drive is jam packed full of some of California’s most beautiful scenery. Go slow, get a map and plan to stop along the way. As you cruise along the 8-mile drive, be sure to stop and view Pebble Beach, Spanish Bay and the famous Cypress tree that has stood there for over 250 years. Bring a sweater for those windy stops and enjoy the views. ✦ Catch Some Waves on Monterey Beach! After you’ve had your fill of chilling on Monterey beach, you can always up the pace and take to the waves. Surfing was recently named the “official” state sport of California, so why not?! There are plentiful options for surfing in Monterey, for surfers of most levels. You can even take surf lessons in Monterey. Carmel Beach is known for its reliable surfing conditions in the area, while Marina State Beach is recommended for more advanced surfers in Monterey. Monterey State Beach offers better surfing conditions for beginners and novices. Almost everyone I have ever talked to about Monterey always mentions this place and there is good reason! You and the kiddos will be amazed and dazzled at over 550 species that are on display. 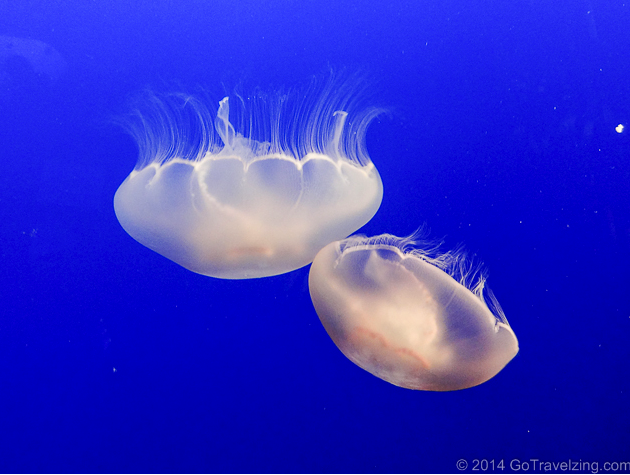 I particularly love the Jellies Experience, where the underworld of jellyfish is so brightly displayed. I find them so mesmerizing! They also have the Kelp Forest, one of the tallest aquariums exhibits in the world, so don’t miss that. They receive over 1.8 million visitors per year, so get there early and get your tickets! ✦ Eat Monterey Seafood… While Overlooking the Monterey Bay! C Restaurant + Bar is just steps away from the Monterey Aquarium inside the InterContinental Hotel. The restaurant features only seafood endorsed by Seafood Watch of the Monterey Bay Aquarium and every table has views out to the ocean. This historic, waterfront district is a busy tourist destination with old buildings and shops that have been re-energized. Restaurants, souvenir shops, candy shops, hotels, and shopping seem endless for your delight. Back in the 1880’s, the most lavish resort in the world, Hotel Del Monte, opened up the entire Monterey Peninsula to the world of tourism. 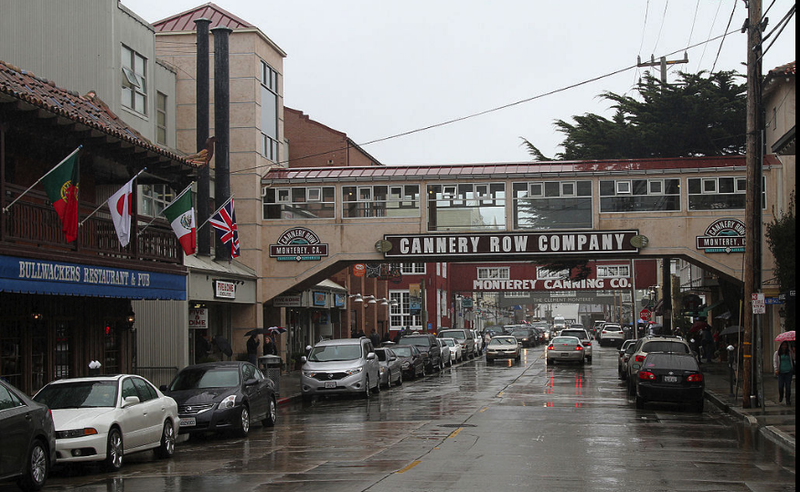 In 1902, the canneries moved in and eventually became the setting of John Steinbeck’s novel Cannery Row. There is plenty to do here and even more great things to eat! 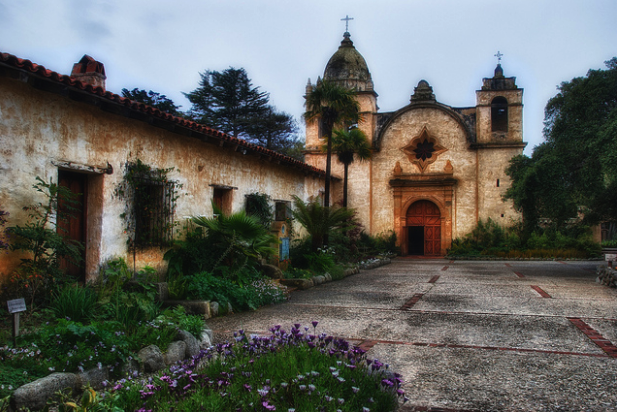 The Carmel Mission is a complex of 18th-century buildings and churches built along the California coastline by the Spaniards. It has 5 museums, but I think the church itself is the most glorious to see. To enter the church is like stepping back in time. This church was built of stone that required skilled masons to cut and dress the stone. The architect, Manuel Ruiz, was from San Blas, Mexico and began building it in 1795 with the help from his master mason brother, Santiago. Carmel by the sea has plenty of different tasting rooms as well as wine shops and bars. Each tasting room represents a different winery from the local Monterey area so it’s a great place to get to know your Monterey wines. There’s even a historic walking tour of the area and plenty of overnight accommodation for those who want to explore for longer. ✦ Last, but not least: Whale Watching! Perhaps one of the highlights of many things to do in Monterey! Whale watching in Monterey is the perfect opportunity to get outdoors and really experience the ocean beauty. The Gray Whale population migrates past Monterey every spring and winter and is a must for every ocean lover. The Gray Whales are present off of Monterey from December to May, with a peak time during January. So be sure and plan your trip accordingly! As Monterey Bay is the best place along the California coast to view the Gray Whales! 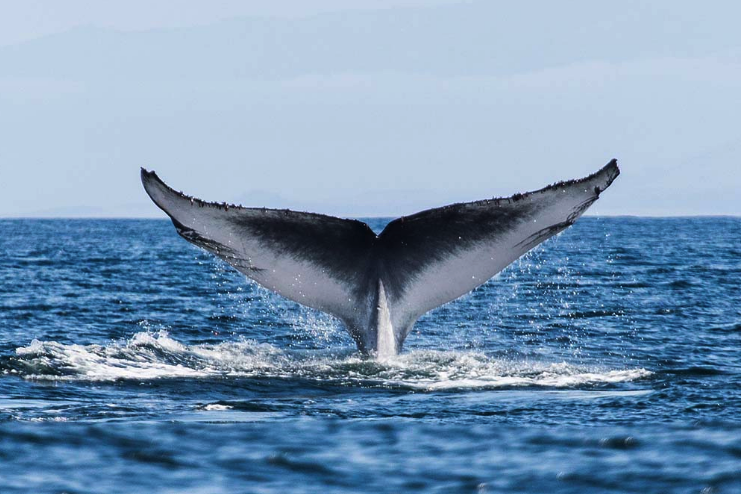 But don’t limit yourself to just Gray Whales, as there are also Blue Whales, Killer Whales, Humpback Whales, Fin Whales, Baird’s Beaked Whales, and Minke Whales… more information about the whales in the area are here. There you have it, 10 of the BEST things to do in Monterey CA! 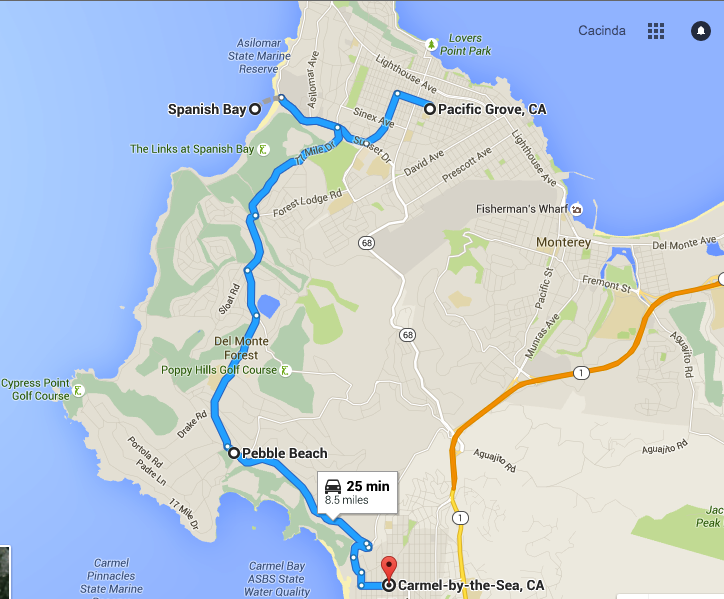 Want to read more about Monterey? Disclosure: As is common in the travel industry, PointsandTravel was provided with compensation for the purposes of review. While it has not influenced her review, PointsandTravel.com believes in full disclosure of all potential conflicts of interest. There may be affiliate links in this article. 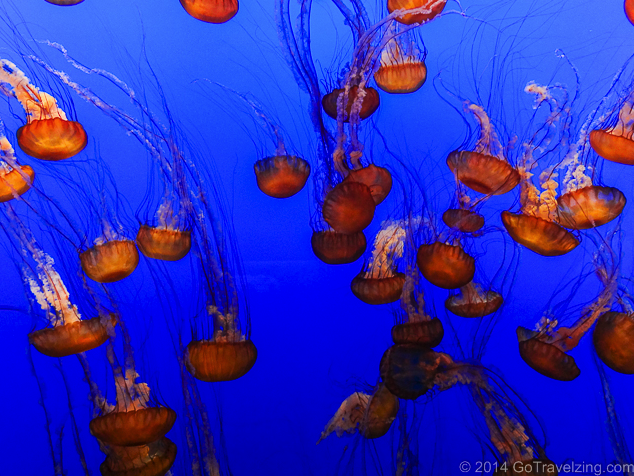 Yes, the Monterey Aquarium is world class.